Over the decades Detra grew more and more handsome — it is a family trait — and Rucina grew stronger in the thighs (the dancing) and in stature in the community (there’s no better accessory in Balinese society than a handsome husband). Once upon a time there were eight happy princedoms in Mengwi, the regency to the north-west of Denpasar. All the princes were handsome and had lovely homes and good jobs with the government. During 1980s, there was a big contest to see who could get the most exotic wife. 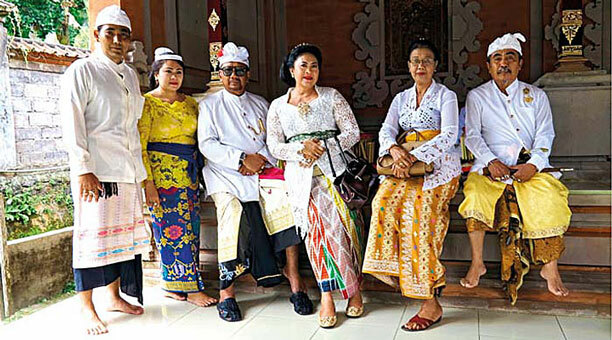 Over the decades Detra grew more and more handsome — it is a family trait — and Rucina grew stronger in the thighs (the dancing) and in stature in the community (there’s no better accessory in Balinese society than a handsome husband). Once upon a time there were eight happy princedoms in Mengwi, the regency to the north-west of Denpasar. All the princes were handsome and had lovely homes and good jobs with the government. During 1980s, there was a big contest to see who could get the most exotic wife. One got a fashion model princess from Karangasem, one got the island’s best Oleg dancer and one, Anak Agung Gede Putra from Puri Kapal Kaleran (Detra to his friends) married a lithe young Indiana-Brasilian (Hoosier) anthropologist called Rucina. Rucina became fluent in Balinese and all the palace and Hindu rituals and even learned how to dance the Legong. Soon they were blessed with two boys, Gung Anom and Gung Arie. For years she worked for the Annika Linden Foundation, a charity which helps the disabled, and started a women’s comedy quartet called Goyang Gedebong which brought her island-wide fame. She was the most popular M.C. for Indokrupuk (mixed) marriage events. As a Haole palace wife she was perfectly demure in front of her husband’s extended family at ceremonies, but riotous back stage at the dance halls. In 2013 Rucina and her husband were made joint Kelian Adat (Ceremony Chiefs) of their banjar (sub-village unit). Rucina was an active Kelian Istri, the first foreigner to do so (other non-Balinese have held similar roles ceremonially but not been fully participatory). When Detra died quite suddenly last month there was an outpouring of sympathy for Jero Soka, as Rucina is known in the palace, and her boys. The cremation was scheduled for two days later and was a beautiful affair. Today the island’s premier Tjokaholics are all here, as are many stars of the Balinese dance world. Rucina carries the day with exemplary grace and tabah — grief management, as the Indonesians call it — looking after her shocked boys and consoling her weepy Balinese relatives. She even rustles her hair against the feet of her husband’s corpse — definitely a first for a Hoosier — and whips the magic potion up her husband’s sarong to its vital place, like a wizard with a wand. In the grief-stricken garden party atmosphere of the palace — 12 hours of intricate rituals, processions, prayer sessions and eat-ins — she never flags. We, the Tjokohalic wannabe support group, take off our hats: Rucina has raised the bar way high. 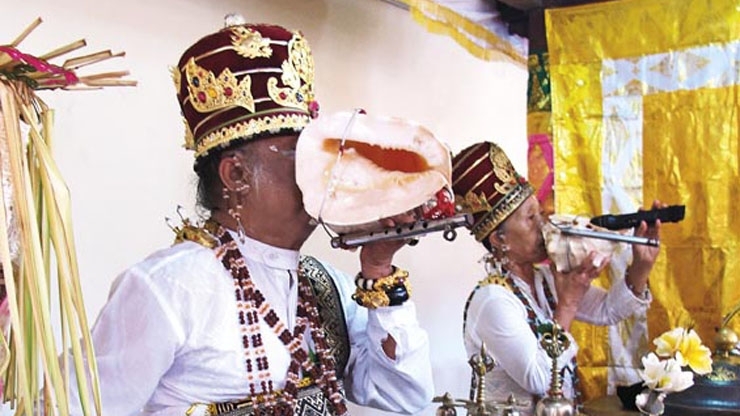 It’s so inspiring to see how truly integrated a foreigner can become in Balinese society: Rucina’s great friend and fellow Hawaiian Garret Kam, a lay priest at the mighty Pura Samuan Tiga in Bedulu is another example, and the list could go on. Is Bali, like India, destined to be ruled by strong western women? Or are they just emulating strong Balinese women! 26th September 1996: To the Bali Hyatt, Sanur. Every two years the World Tourism Organization (W.T.O.) 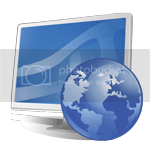 holds a convention that includes members from almost every country in the tourism world. Bali was a clear favourite for the 1996 convention as Indonesia’s popular Minister for Tourism, Joop Ave, had recently been elected chairman of both the Pacific Area Travel Association (PATA) and the W.T.O. Bali is also an incredible place for a convention, as many of us witnessed tonight, under the full moon on Sanur Beach. As unofficial caretaker of the roadside planting from Middle to South Sanur (retired) I had been invited, by the Sanur Beach Festival Committee, to help with the design of the dinner show venue (1000 guests) for the W.T.O.’s closing ceremony. My pathetic attempts at designing a neo-classical amphitheatre were quickly swept aside by the artistic minister who wanted ‘Red Sails in the Sunset’ and a 10,000-ton steel stage dropped on the foreshore for the ‘Save the Ocean and Bali Kaleidoscope’ theme night. It was also to be the official opening of the minister’s new beach footpath—complete with a fake royal cremation and a fake keris dance. It was hard to know what to wear! I arrive with a party of ten battle-hardened Bali-o-philes whose eyes are quickly on sticks; the sight of 100 outriggers with Bhutan-red sails bobbing off the Bali Hyatt foreshore, backlit by a blazing moon, is one of outrageous beauty. We all stroll down the beach past booths of Balinese life—tooth-filing, legong dance lessons, rice-pounding, demon-effigy skirmishes, palace ladies weaving offerings, pig offal on the roast, two marriage celebrants and a pear-shaped Dutch tourist in a frangipani tree. Four gamelan orchestras and the giant bamboo jegog from Jembrana provide a cacophony of sound to go with the kaleidoscope of images. The official W.T.O. party — looking like the U.N. Security Council in party hats — led by the proud Indonesia minister, is suddenly coming our way. I drop a deep curtsey — for amongst the group are royals from Senegal to Sweden — as a battalion of local and international tourism experts race for the 100 tables. Everyone is wild-eyed with wonder. Those who have never before witnessed anything Balinese are frothing at the mouth, from the ‘overdose’ and those of us who thought we’d seen it all just revel in the new condensed version. There are police at every corner on the drive to Nusa Dua: the motorcade accompanying Bapak Joop’s coffin from Denpasar is being given V.V.I.P. treatment. As Head of Protocol at the state palace for ten years, Bapak Joop deserves nothing less. The cremation ground is lined with regiments of servicemen, dignitaries, family, and friends. The spirit of Bapak Joop — his love of spectacle and masculine beauty in equal measure — lies heavy over the proceedings. After the gun salute, the minister’s speech, and the dispatching of the coffin, all gather in the open hall where a reunion atmosphere reigns. In attendance: a full range of the people Bapak Joop helped and touched over his prolific career — from Solo princesses to Kuta Beach lifeguards. I asked an East Flores native, Darius Nikolaus, to accompany me in full tribal dress as Bapak Joop, during his almost ten years as Head of Tourism in Indonesia, never flagged in his promotion of the outer islands, especially the Lesser Sundas. Darius Nikolaus looked very cute in a Savu royal sarong and batik headdress. With Bapak Joop’s favoured printer, Erwin Indarto, I discuss how fitting it is that the father of Indonesian tourism’s final book, slated to come out later this year is titled Indonesia – 1000 Destinations. Bapak Joop was borderline ‘Indo’ (Indonesian-born Dutch), and throughout his early life had to work extra hard to be fully accepted. I imagine, in both the prejudiced atmosphere of the colonial era, and the anti-Dutch years that followed. Being a confirmed bachelor was another hurdle he had to overcome. There are very few real Indos left, so it is very special that such a liberal sprinklings of five-star lndos of this generation is present today. Amongst them are the De Groot sisters, lifelong friends of Joop, and Wini Wowor, who founded the Kuta Flea Market. The word Indo, once used derogatorily, has now been adopted by Australians to describe their near neighbours. Indonesian workers in Malaysia call themselves ‘Indon’. Flamboyant Champion of Indonesian Culture (Director General then Minister of Tourism from 1982-1998), handsome child mascot of President Soekarno, Special Affairs Director then Consular of Indonesian Consul-General in New York (1967-1972), Head of the Merdeka Presidential Palace (1972-1978) and Director of Palace Protocol (1981-1985), former head of PATA, founder of Sanur Beach Walk, GWK (Garuda Wisnu Kencana) Cultural Park, the 1000-man Ketjak, Wartel, Warnet and Giant Ramayana Butter Statues. He was mentor of many fine books on Indonesian culture including the outstanding Indonesian Heritage series (with Editions Didier Millet, Singapore) and Keraton Surakarta (with publisher B.A.B. Jakarta, Soedarmadji Damais — his great friend — and John Miksic). He championed Guruh Soekarno Putra’s truly amazing Swara Mahardika theatrical productions in Jakarta during the 1980s and helped in the revival of many dying dance troupes across the archipelago. His textbook ‘How to Gouge Money Out of Cheapskate Sino-Jakartan Moguls for Cultural Pursuits’ is still in print. Above all he was a great lover of Bali and the Balinese: he spent much of the last infirm five years of his life in Puri-like splendour in a gated executive enclave of the Bintang Hotel in Tuban. Bapak Joop died in Singapore last night after a decade-long struggle with cancer. Indo-Javanese by birth (descended from Dutch mercenaries sent to the Indies after their defeat in the Napoleonic wars, his real family name was Avé Lallemant) he rose quickly in high society circles in Jakarta during the tumultuous 1960s due to his charm, intelligence, linguistic skills, height and good looks (Soekarno was also a consummate showman and knew the power of beauty). Adrian Zecha remembers him, as a teenager, proceeding Soekarno into rooms with the presidential baton (in private, Bapak Joop used to joke that he wanted to twirl and high kick but wasn’t allowed). Om Joop (as he was affectionately known amongst his many admirers) coined the expression “Let not cultural tourism become a culture of tourism”. Despite his personal taste (Liberace was an admirer) his closest friends included the great artists and culture czars of his era who he tirelessly promoted. He provided the wheels for many careers. 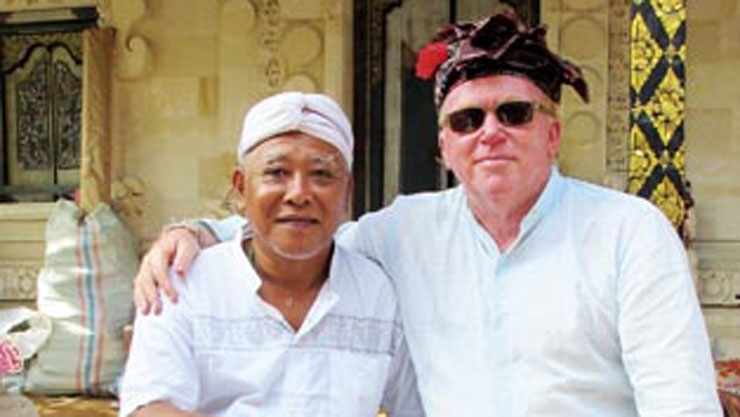 He was the father of the Nusa Dua Beach Hotel, which was, when it opened, the pride and joy of the Indonesian tourism world, fully designed by Indonesians. The gardens there were designed by his life partner Jack Bwono. Bapak Joop is survived by three sisters: Grety, Conny and Mae.